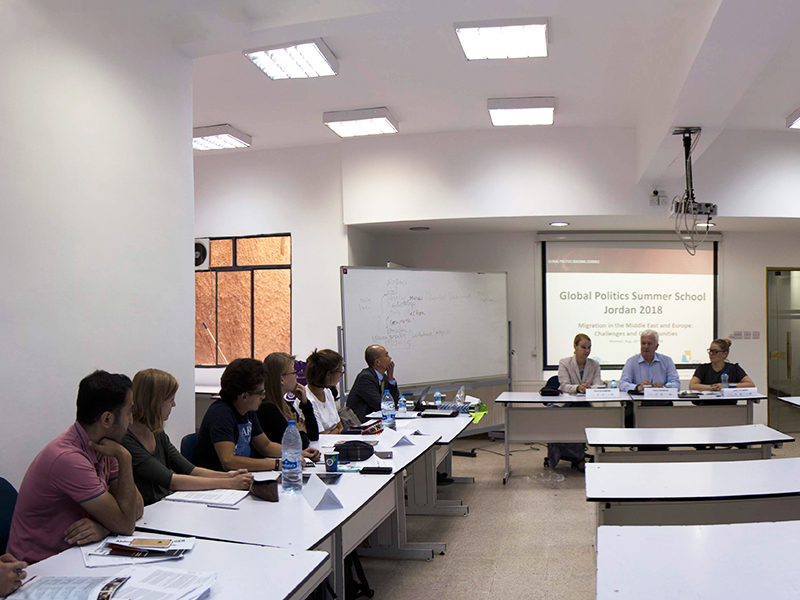 The German Jordanian University (GJU) and the Center for Global Political at Freie University – Berlin joined efforts for the seventh time to organize the Global Politics Seasonal School (GPSS) from 28th of August until the 9th of September 2018. The GPSS invites students from the Middle East and Europe to take part in a rigorous intercultural learning experience, in which the guiding theme for 2018 is Migration in the Middle East and Europe: Challenges and opportunities. Discussions will cover recent developments in the MENA region and Europe with a special focus on migration. From her side, Vice president of GJU Dr. Dorit Schumann said that this year’s topic sits well with Jordan and Amman’s historical role in harboring Arab and non- Arab refugees from all different parts of the region and the world for a variety of reasons. The program modules and discussions include new approaches to global politics that will be covered by Prof. Klaus Segbers as he will present recent developments in the field and shed light on the most pressing issues. Complementing the European view, Prof. Zhenjiang Zhang will shed light on the Chinese perspective on Global challenges and trends. Moreover, Nadine Biehler and Amrie Meier from the Global Issues Division at the German Institute for International and Security Affairs will explore the phenomena of and forced displacement as well as the potentials and risks they entail from a European perspective. 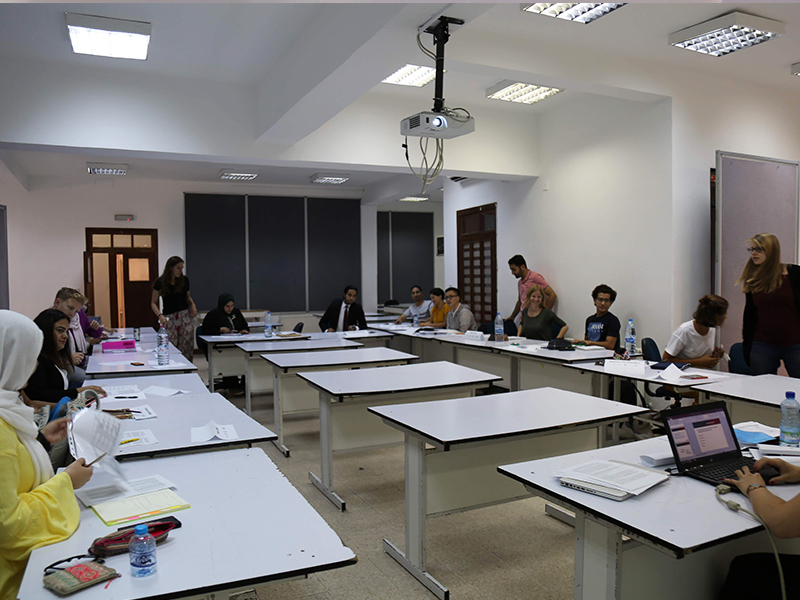 The second module focuses on migration flows in the MENA region, where Mohamad Bader and Nadia Shamroukh from Jordanian Womens’ Union will report from their practical perspective. On another hand, Prof. Paul Tabar and Prof. Helga Baumgarten will discuss migration from an academic view. It is worthy to mention that the program is supported by the German Academic Exchange Service (DAAD), the Federal Ministry of Education and Research as well as GJU and Heinrich Boll Stiftung Palestine and Jordan.